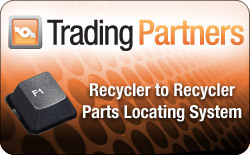 Fast Parts offers a solution which includes a robust and virus free Linux server. Supported operating systems are Windows® 2000 Professional, Windows XP Professional-32bit, Vista Business - 32bit, Vista™ Ultimate - 32bit, Windows 7 Pro 32/64bit, Windows 7 Business Pro 32/64bit, Windows 7 UltimatePro 32/64bit. Invoice and report/statements: Okidata ML 184 or Okidata ML 186 (IBM graphics). Tags(Optional): TSC TPP 247 or Okidata ML 184 (IBM graphics). Air card and Satellite connections may be supported (please call for more information). Please call if you have questions about equipment you wish to use. 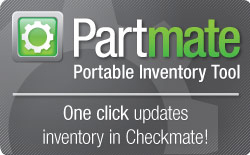 We did the work to make it easy for you to load Fast Parts on inexpensive hardware! CALL boB CLARK at 800-288-7415 TODAY!